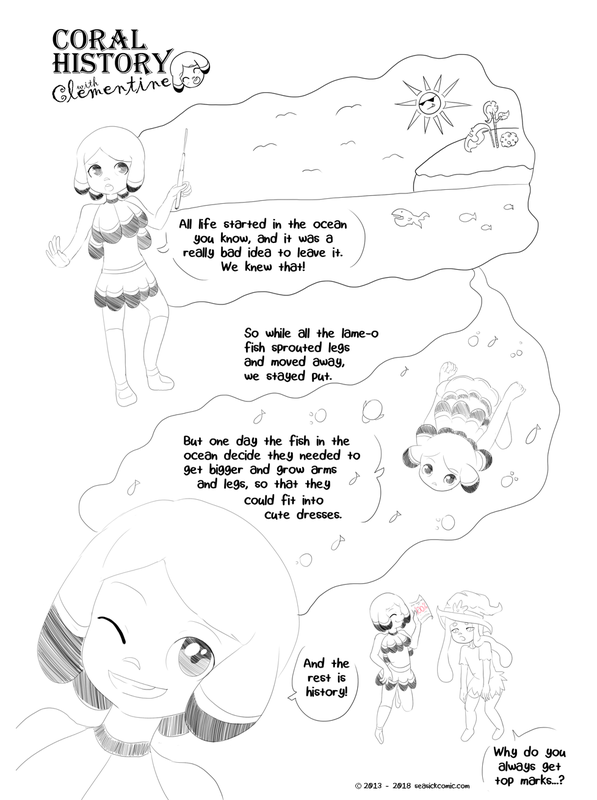 chapter-two-extra-two – Seasick – The Underwater Adventure Comic. Updates Fridays! Had a super busy couple of weeks, along with some health issues that I had to take care of, so please enjoy Clementine’s lesson on all the TOTALLY CORRECT lore of the world of Seasick. Expect the next page to continue as usual next week.